Once your WebHooks integration is complete you will receive alert notifications via Slack. Choose “Incoming Webhook”. Create Webhook and copy provided Webhook URL. Navigate to Sematext Navigation Hooks and select Slack card to create a new Slack notification hook. 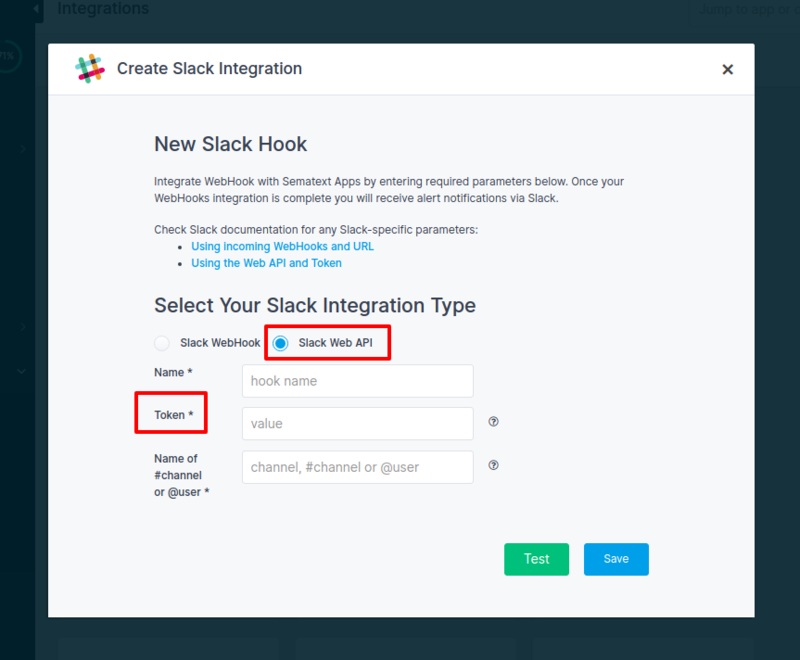 Enter required parameters and copy incoming webhook Slack URL into url field. Click Test button to confirm that Sematext app is sending data to Slack and save your Slack notification hook. For Legacy Tokens visit api.slack.com/custom-integrations/legacy-tokens. 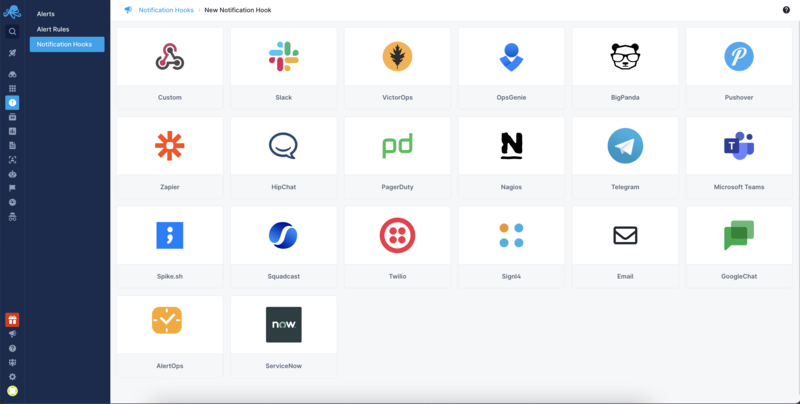 Token custom integrations is an older way for teams to build into their Slack team. To securely utilize the newest platform features like message buttons & the Events API a new Slack App needs to be created. Visit Building Slack apps for more information. Select Slack Web API option in the form, enter required parameters and copy Slack TOKEN into token field. Click Test button to confirm that Sematext app is sending data to Slack and save your Slack notification hook. That's it. Notifications sent to Slack can also be sent via other channels such as e-mail, PagerDuty, Nagios, etc. Check Alerts to learn more about other channels and types of alerts available. We hope you enjoy using Sematext App and Infrastructure Monitoring and Log Management tools. If you need further support or have any feedback regarding our products, please don't hesitate to contact us ! You can also contact / talk to us using chat widget at the bottom right corner of the page or give us a shout @Sematext.